All County DKI offers water damage restoration, fire damage restoration, mold remediation, contents cleaning and other related services in Hialeah, FL. We are a full service restoration and construction company licensed to work in Hialeah and surrounding areas. Our hard working restoration crews will make certain that all the building codes and standards are adhered to as we rebuild your residence or place of business in Hialeah. Another service we provide for your convenience is insurance billing. All County DKI will make sure all the required insurance billing codes are correct when we file the paperwork for your restoration emergency. 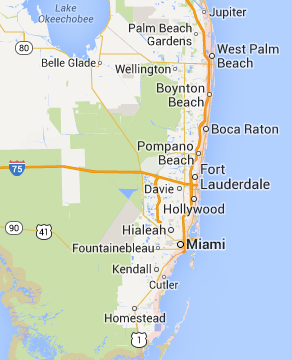 All County DKI is a locally owned and operated restoration company servicing South Florida since 1992. We offer free inspection and estimate in Hialeah, so, if you have a disaster in your home or business, call us NOW!!! I wanted to follow up with feedback on the recent project DKI undertook due to the unexpected flooding in our two story house.